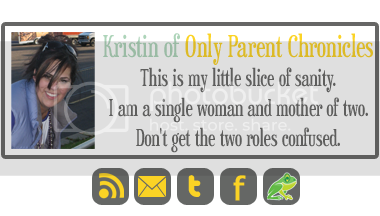 Only Parent Chronicles: Bestie Photo Contest! Our best friends are such an integral part of our lives. With them, we make so many of the moments that make life worth living. Oftentimes, those moments are caught on film. 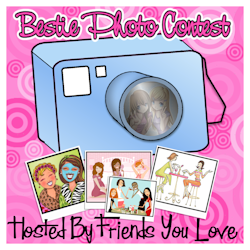 With Friends You Love, I bring to you the Bestie Photo Contest. Submit a photo of you and one of your best friends to win a generous prize from combined sponsors! Submissions will be accepted 9/7 - 9/12. I love the photos of you and your bestie! Me and Steph are rarely together enough to get photos! Makes me sad! I love this post. This is such an awesome contest...now to leaf through photos of my BF that are embarrassing for her but not for me....hmmm...I'm kidding. I'm not that mean...or am I muwhwhahahah. Ahhh that looks like good friends and fun times! I'm so glad to hear about scouts, that is my next adventure I think he'll like that. Great pictures! I wish I had more of me and mine! This has got to be a fake contest - you are WAY too pretty to be real - and your supposedly BFFs are just as gorgeous! Awe, you look so happy with all of your awesome friends. So funny that I'd rather look at pics of friends than pics of women and men...don't analyze that, I'm trying not to. Hi. I'm your newest follower! 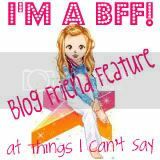 Besties are awesome, I cant wait to see everyones pics. Aw! I love those pics! !